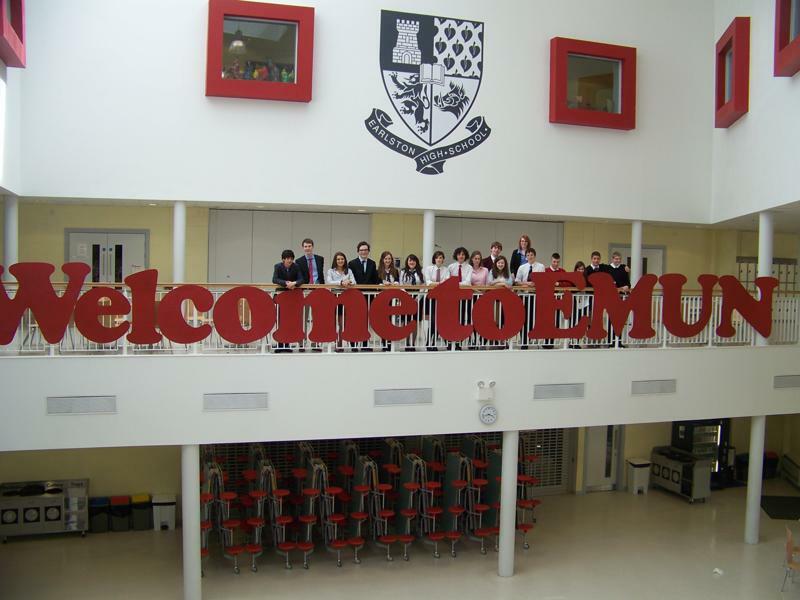 Ken Stewart, on behalf of UNA Edinburgh, introduced and wound up the MUN organised by Earlston High School in the Scottish Borders on 14 June 2011. 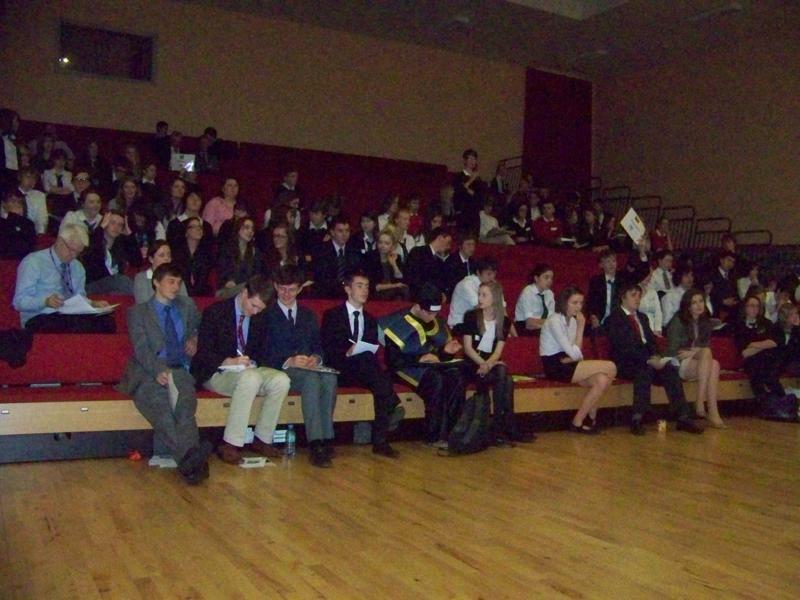 This was the first ever MUN staged in the Borders and was attended by delegates representing: USA, Turkey, Pakistan, Zimbabwe, Israel, Egypt, China, Palestine, Russia, UK, Saudi Arabia, Iran, Myanmar and Venezuela. 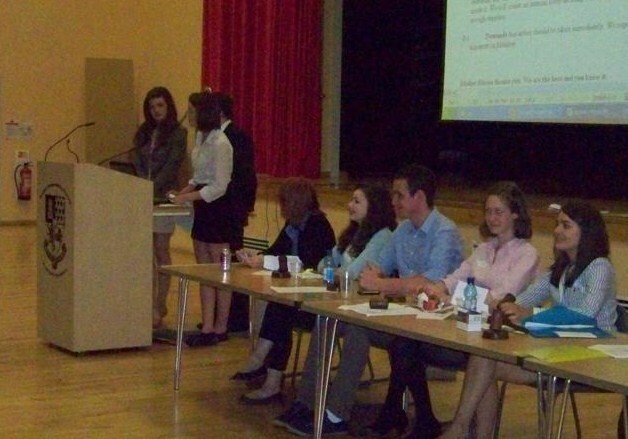 More than 100 people attended from 12 schools representing 16 countries. 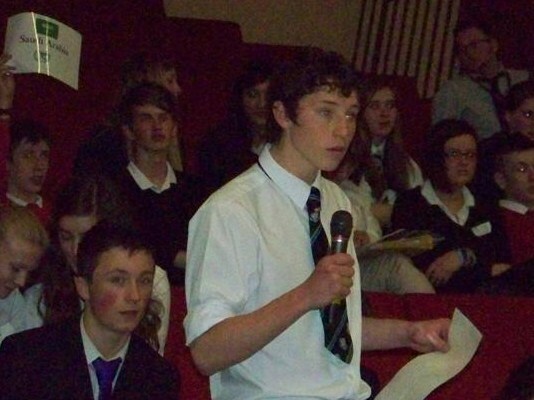 Schools participating were:Wallace High School, Eyemouth High School, Whitburn Academy, George Watson’s College, Jedburgh Grammar, Penicuik High School, George Heriot’s School, Hawick High School, Kelso High School, Balerno Community High School, Dalkeith High School, James Gillespie’s High School and Hutcheson’s Grammar.